Crabtowne Pinball Club League “week zero” open house! League starts the following week. Come see what we are all about! DETAILS: WORTH THE DEUCE! Entry is only $1.... ONE DOLLAR. That chump Frasca won his own tournament last time, so he’s putting Da money back in and adding to it! -$250 split between top 4 finishers. -$50 Frasky knockout bonus to the player that eliminates Mike Frasca from contention! 4 strike knockout format.... the way we do at crabtowne on TUUUUUESDAYS! Due to the number of people that will show, NO EXTRA BALLS will be played! 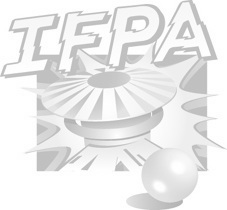 IFPA sanctioned! Last Frasky knockout gathered 50 people, so fat stacks of points were earned by all who finished on top. Come get your points, baby!!!! STERN ARMY EVENT! Come play a range of Sterns finest offerings, from Flight 2000 and Stars, to Deadpool and The Beatles! Our friends at Stern pinball have put up some delicious swag for random door prizes. We will also give away cool stuff from Crabtowne USA and Game Time amusements! Gather at 8pm. Tourney starts at 830 SHARP.